Download SSC CGL TIER-II Previous Year Question Paper. 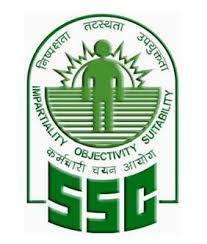 SSC has already Published Combined Graduate Level Exam Notification. CGL Exam is Going to be held On May 2016. Before that Candidates need to prepare well for this Exam Here We are Sharing Various TIER-I & TIER-II Question & Mock Test which will Helpful to All Candidates. Now Candidates Can download SSC CGL TIER-I & II Question Paper & Previous Year Paper for Practice. Download Below Question Paper And Practice Set. DOWNLOAD HERE SSC CGL TIER-II ENGLISH & MATH QUESTION PAPER. For More Question Paper Comment here your Email ID Below.